Books and reading resources for kids and parents. Award Winning Books - Lists Caldecott Award Winners, Newbery Award Winners, Theodor Seuss Geisel Medal Winners and many more. Book Hive - Contains hundreds of recommended book reviews in a variety of reading levels and interest areas. 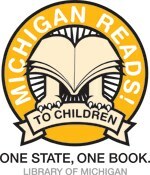 KidsReads - Find information on your favorite books, series, and authors. Includes reviews of the newest titles, author interviews and more. Read Kiddo Read! - Book recommendations for kids of all ages. Includes summaries, read-alikes, reviews, and links to related activities. Storyline Online - Watch some of your favorite actors read a story.